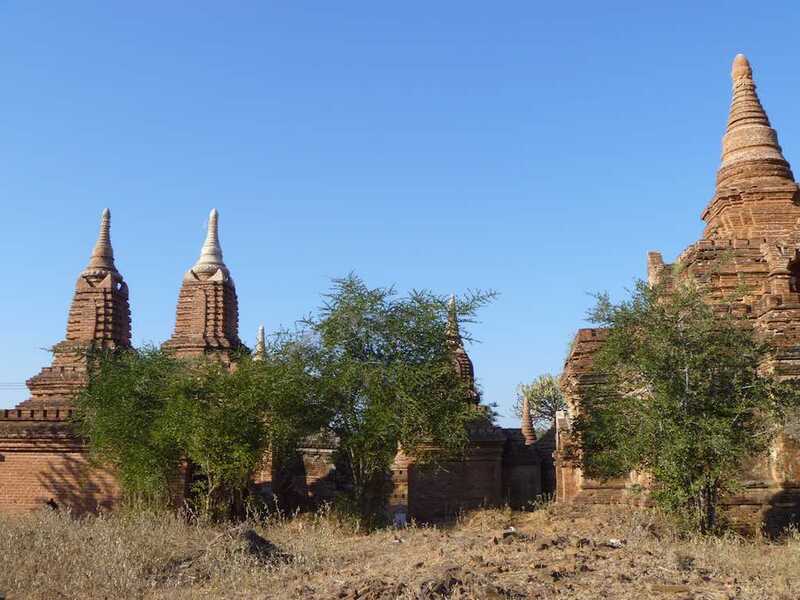 Escaping from our tour group one afternoon in Bagan, we intrepid explorers wandered across the grassy scrubland to some of the smaller stupas near our hotel. 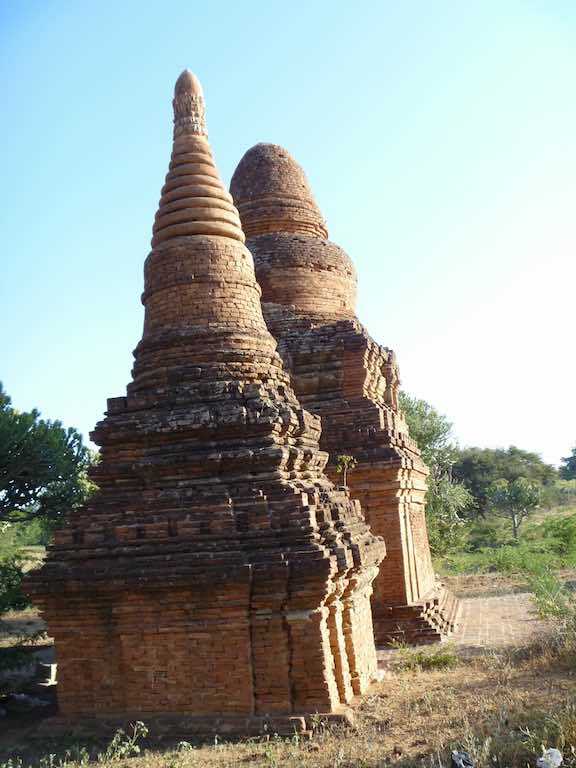 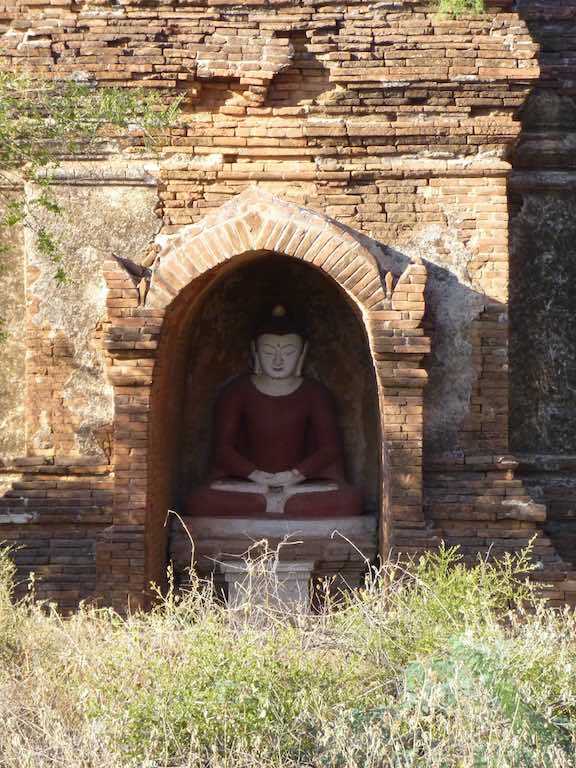 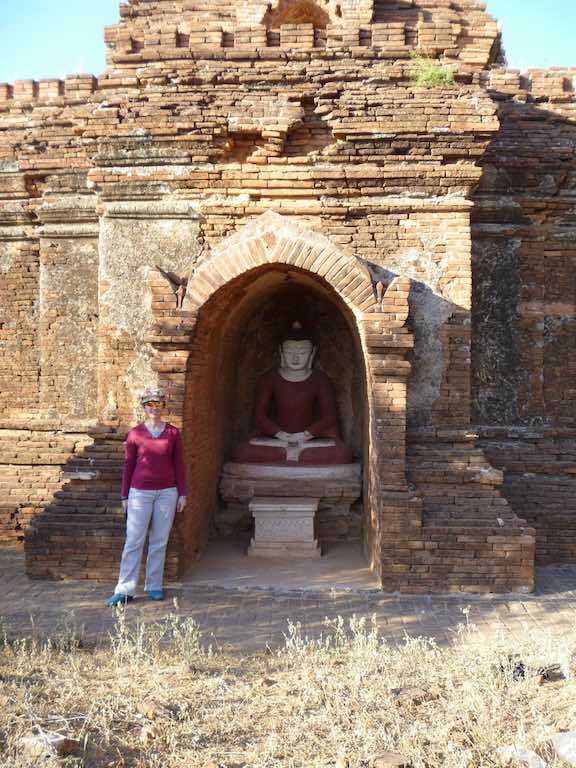 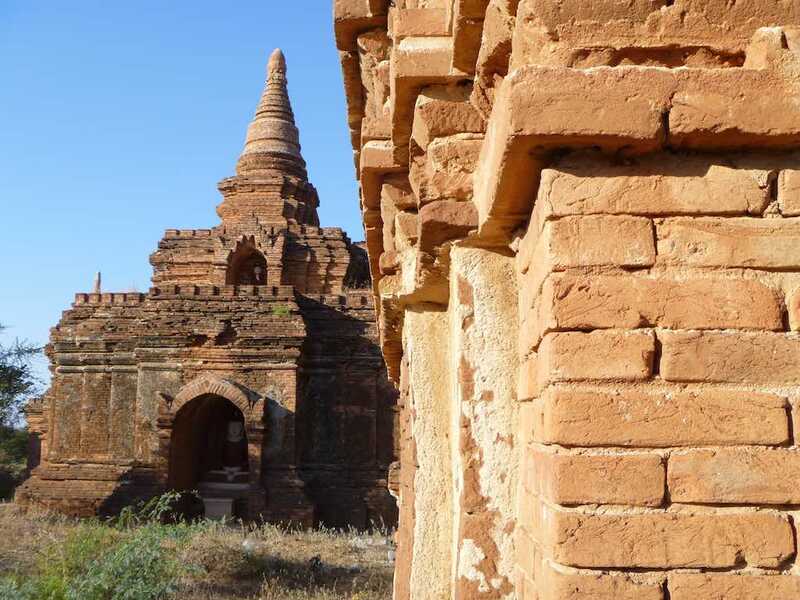 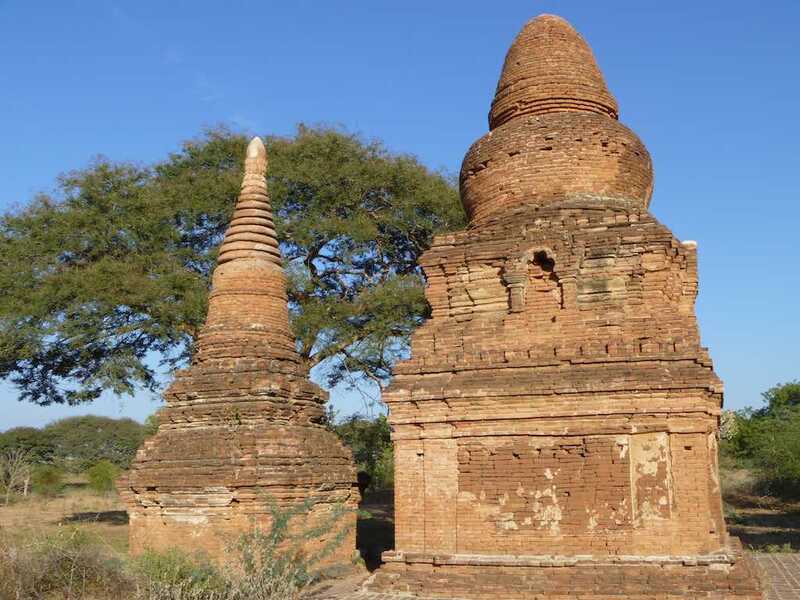 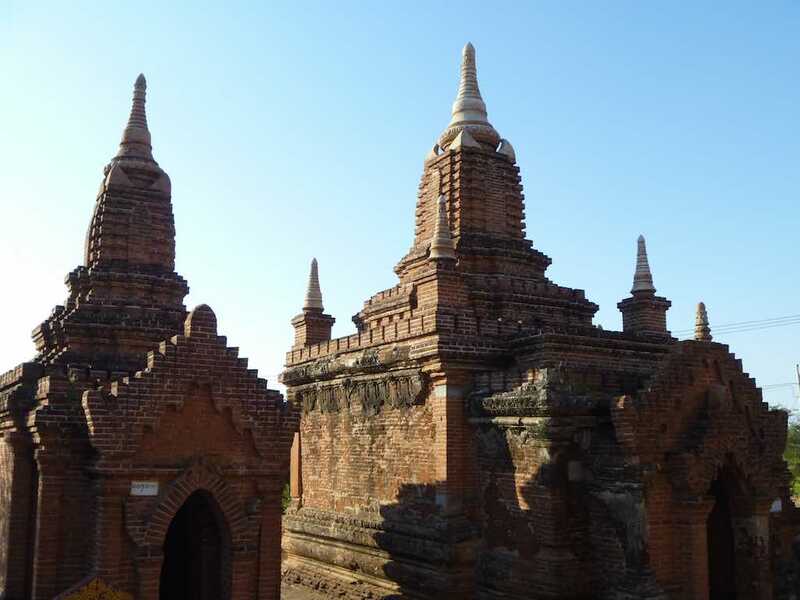 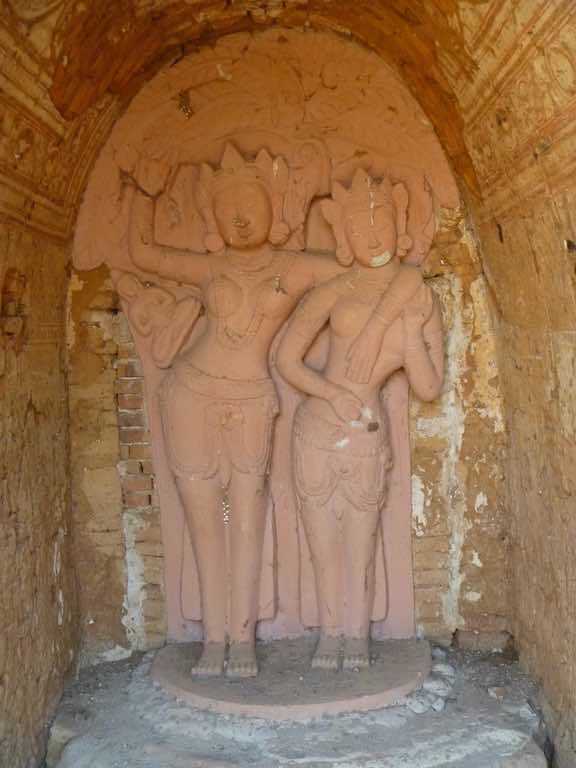 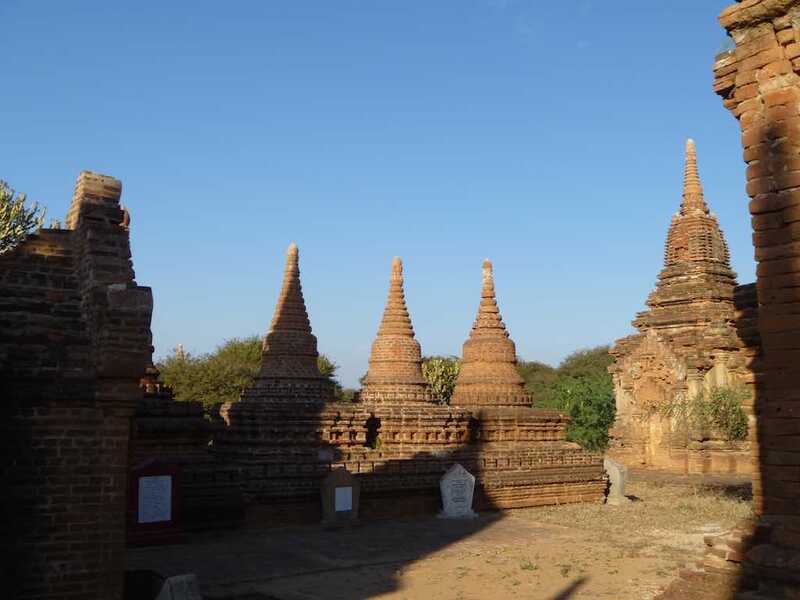 After visiting the larger temples of Shwezigon Pagoda, Htilominlo Temple and Ananda Temple, I was keen to explore some of the smaller stupas scattered around Bagan. 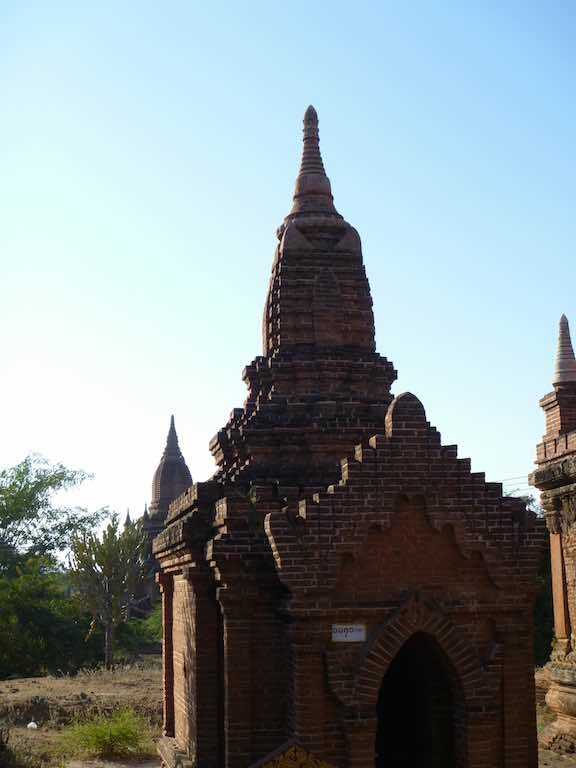 No so much frequented by tourists, many had offerings of flowers in them. 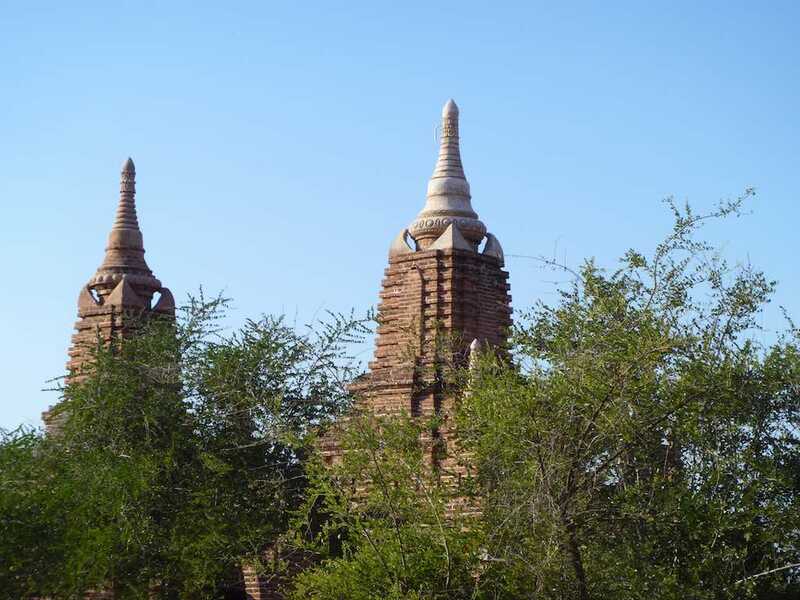 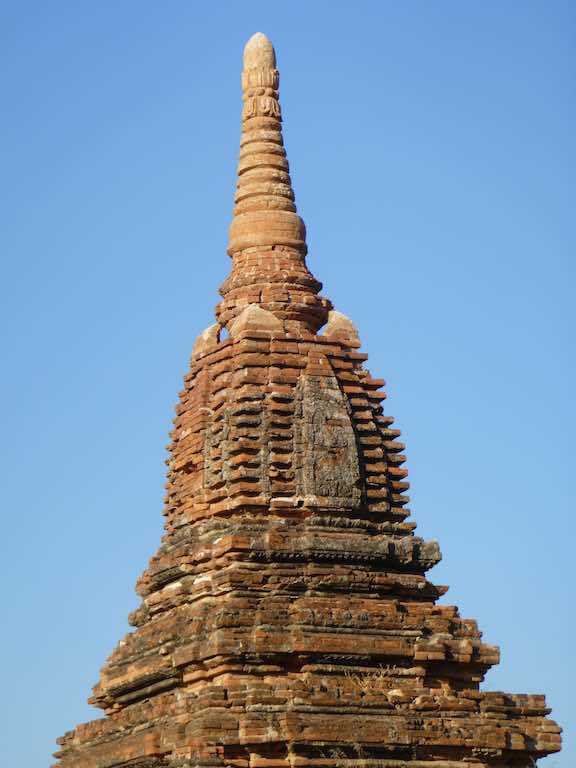 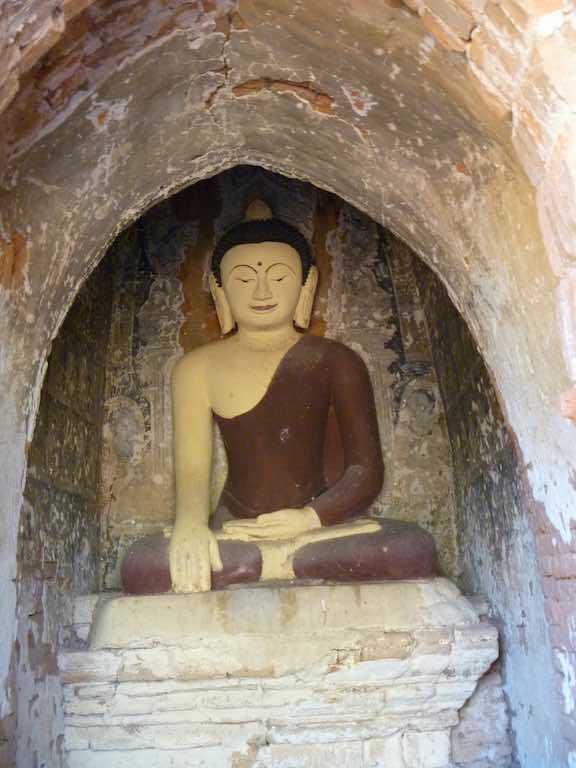 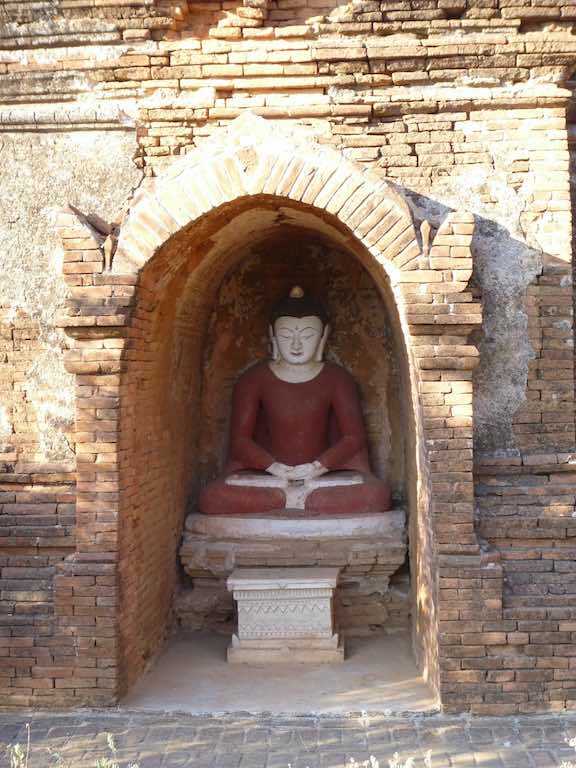 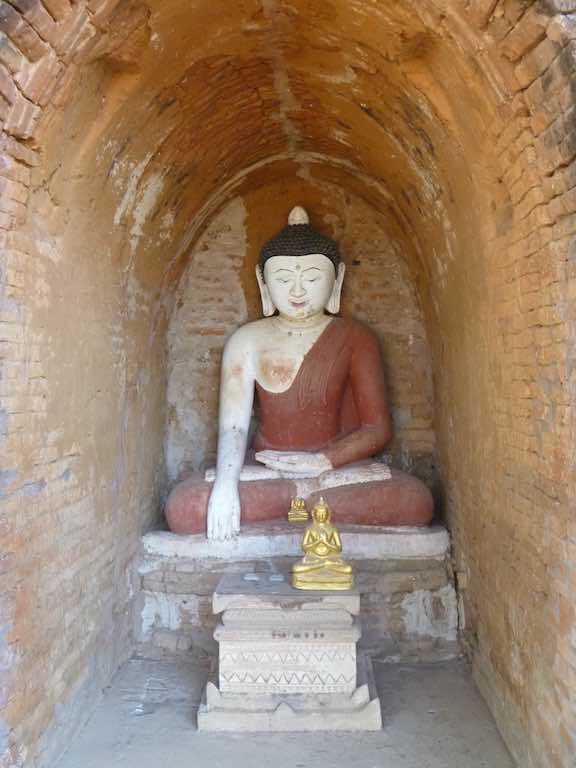 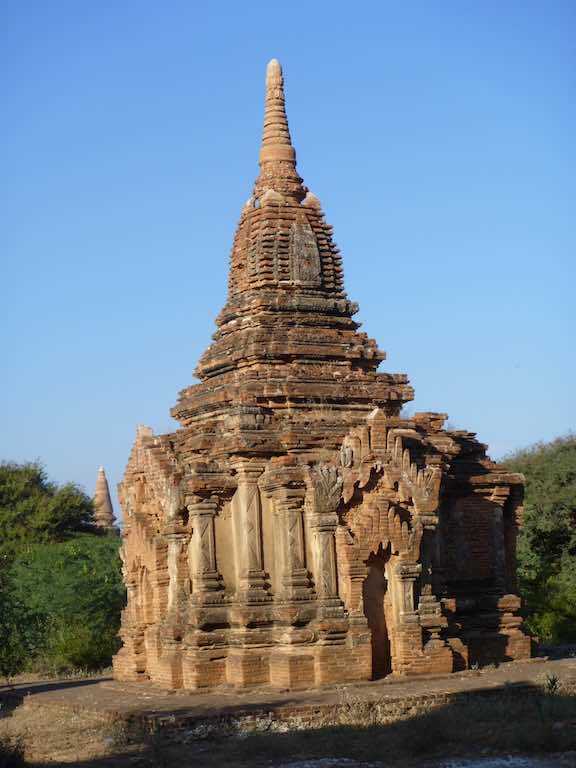 Many of the stupas were in small clusters of ones of similar style, shape and design. 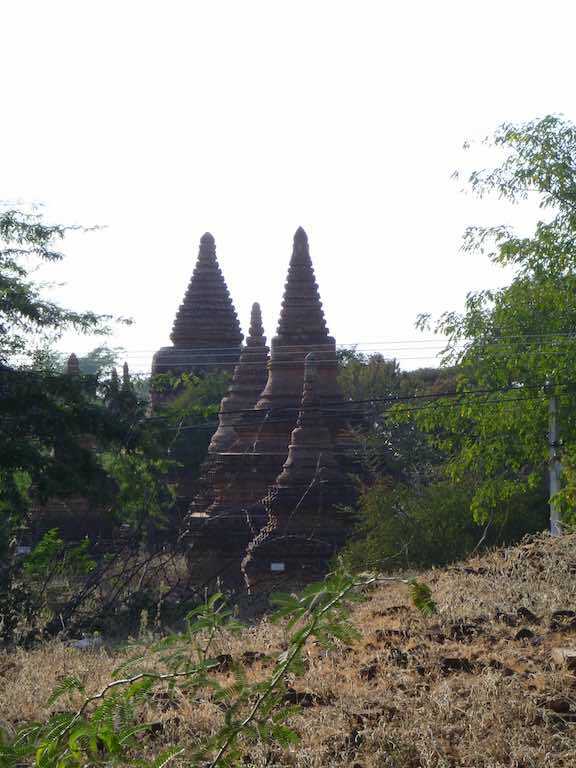 Then we’d walk a few hundred metres to the next cluster. 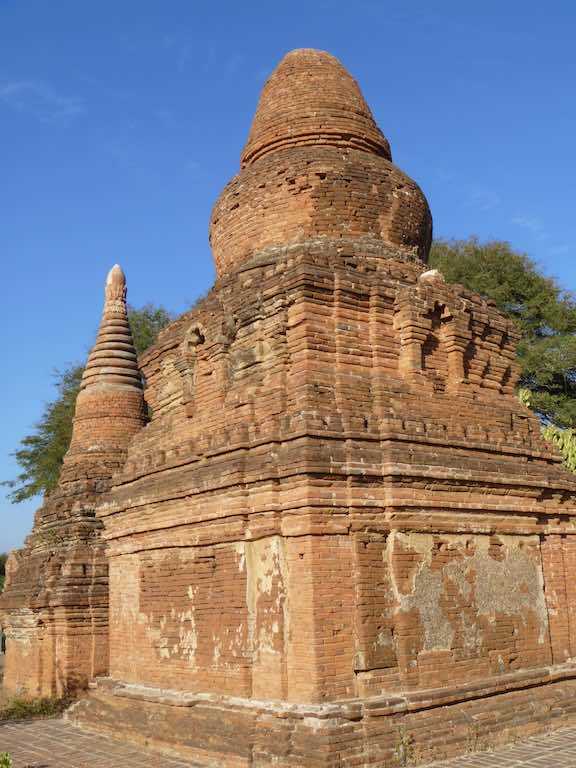 For me, this was the highlight of our visit to Myanmar. 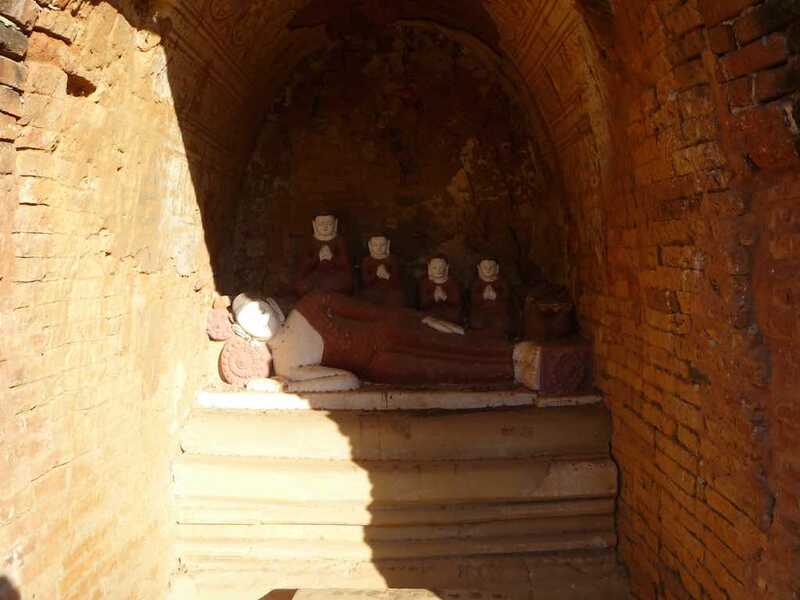 Apologies for the shadowing in some the photos, the sun was dropping due to it being late afternoon and casting a lot of shadow.